Have you ever seen a stranded pallet by the side of the road? 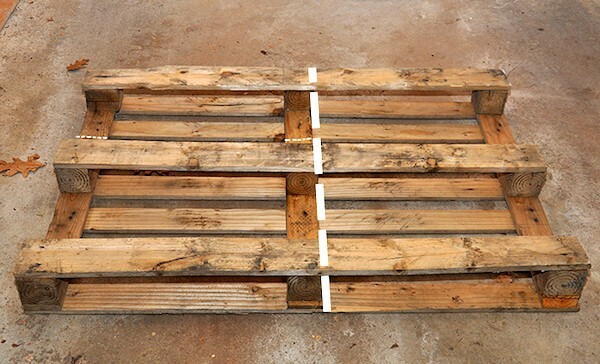 Don’t pass it by – turn it into a unique pallet shelf with this easy tutorial! One Sunday morning as we were driving away from church, I noticed a couple of nice looking pallets on the side of the road. There’s this area right across the street from our building where people pile stuff they don’t want. The last time was this amazing table we picked up for our son’s train set. This time, it was pallet heaven. It took me a good two weeks to decide that I needed a pallet shelf. The possibilities were endless but when I looked at each room, the kitchen was pretty neglected design wise. As each room evolves, other ones need a bit of help. 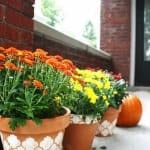 So with the help of my handy husband, here’s how to create one for yourself! The first thing I did was plan how I wanted my pallet shelf to look and where the cuts should be. 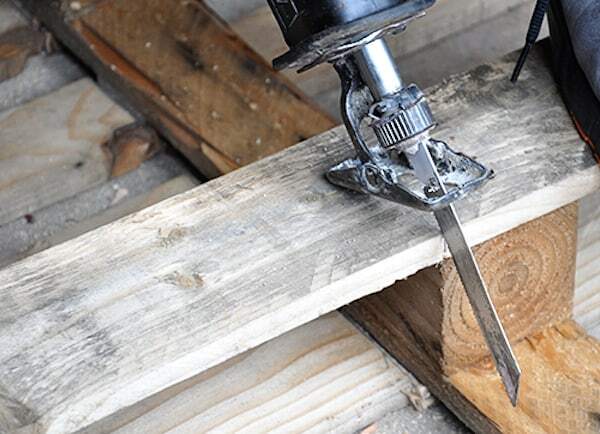 The top photo shows where to cut with the saw. Use the pencil to mark the wood on the pallet. Next take the saw and cut along those lines. Here’s an overview: Count two rows of pallet boards down and cut across the left and center vertical boards. On the right side of the center board, cut all the way down, both top boards and bottom boards. You will have extra boards left over. That’s a very good thing! 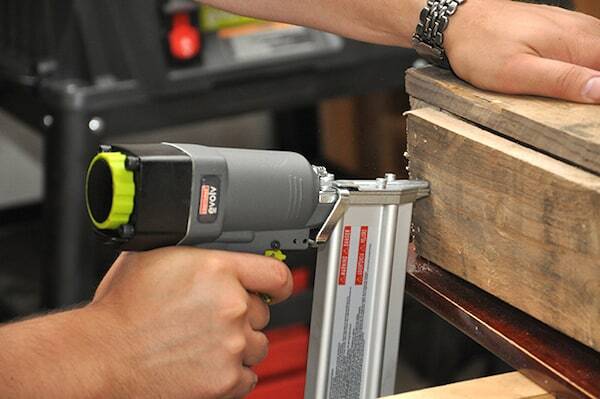 Choose two of the extra boards and secure them as the shelf bottoms with the nail gun. Also, most pallets have old nails so make sure to add some new ones for support all over. 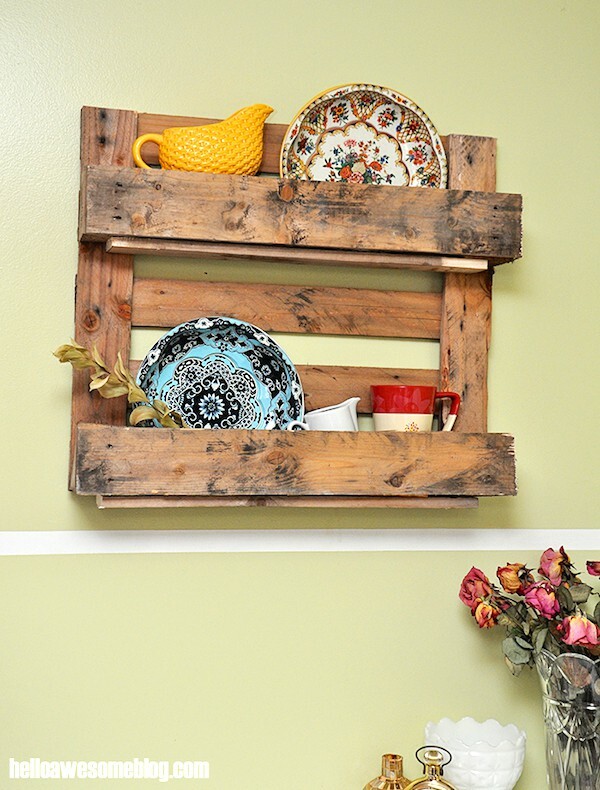 Hanging up your pallet shelf can be done a number of ways. I encourage you to find a way that works for you. My husband just used the stud finder and drilled it right to the wall. I was totally fine with that. 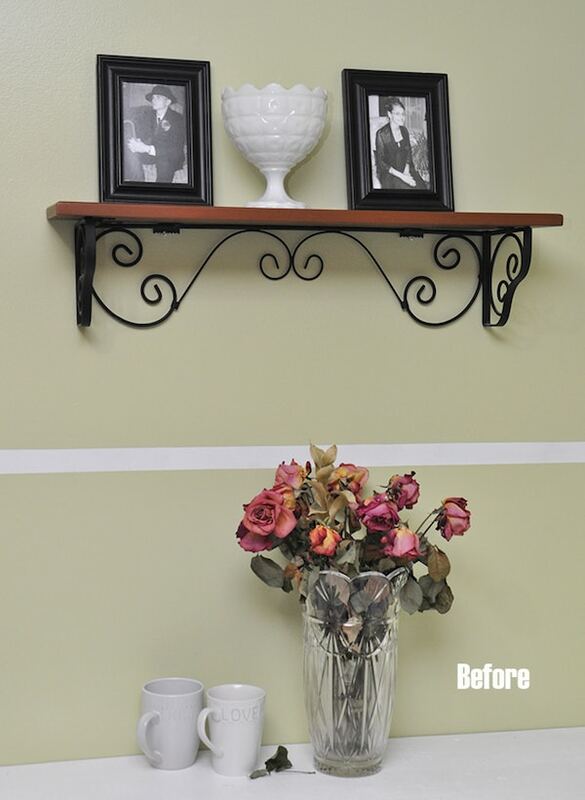 Before, that wall was okay – but now it’s a piece of art! I decided to leave the wood as is but you can use the sandpaper to clean up the edges or paint it. We have plans on making this corner a coffee and tea area. I’m even more excited to see it decorated in cute white mugs and maybe a witty sign about caffeine! Love it on so many levels! 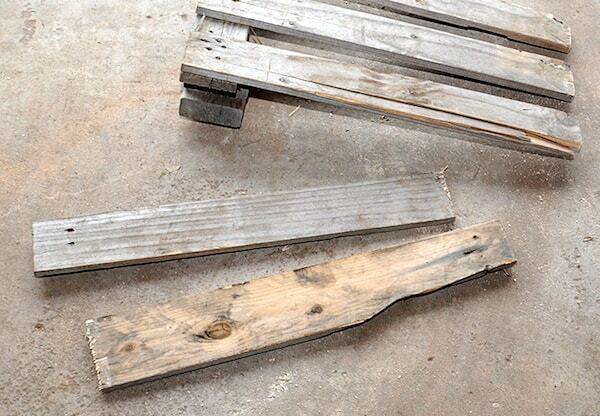 Like the idea of turning a wooden pallet destined to die and rot ( although, technically companies have to pay to recycle this pallet wood, so we are saving them money too) into a functional,beautiful, no less than a piece of art that’s functional, very pleasing decor… Our home was built in the late 1880’s and has the original cellar wood doors and fun finds all over here and there so I love this look, rustic old house charm… Your instructions are very easy to follow as well. 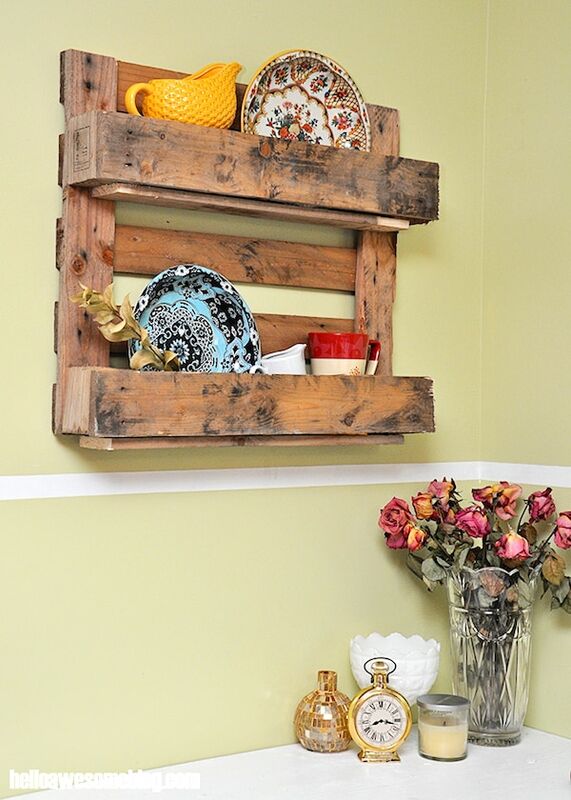 I’d go so far as wanting to create ” upcycled” wood pallet furniture for indoors as well! That’s how much I love this rustic look! 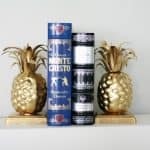 Well done and thanks for the share!